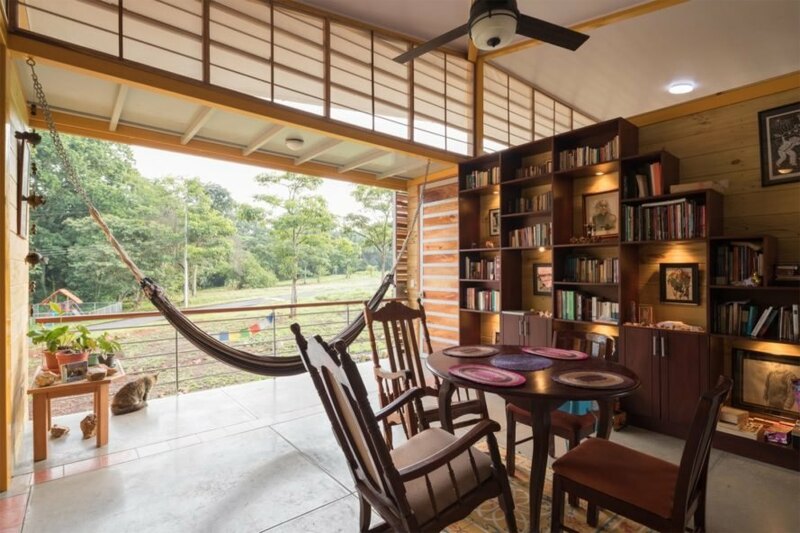 When clients Luis and Marce approached design collective YUSO proyectos for their new home in Costa Rica, they already had a very clear idea of what they wanted. First and foremost, the clients wanted the concept of “honesty” to define not only the design and construction process, but also the final appearance and function of the bioclimatic home. As a result, the site-specific project — dubbed the Esparza House — is primarily built from natural materials with minimal and natural finishes. 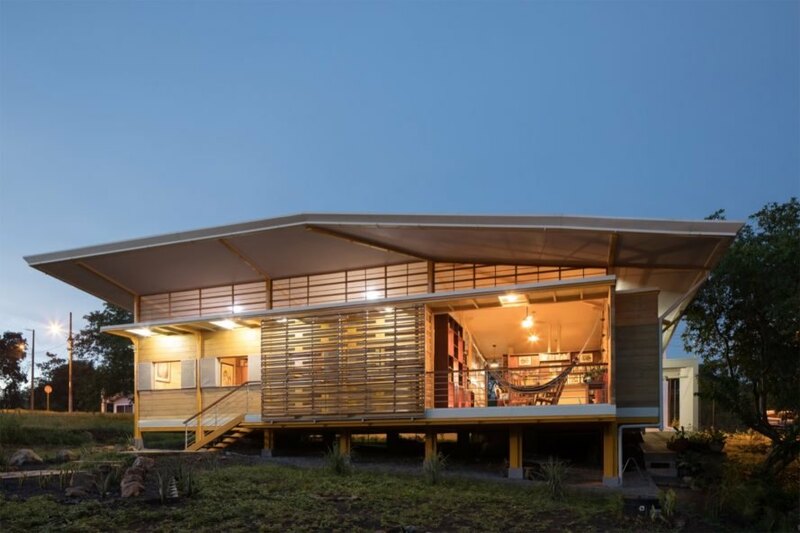 Located on a rural plot in San Rafael, Costa Rica, the Esparza House was completed for a cost of roughly $84,300 USD and spans a footprint of 1,345 square feet. To keep costs within budget, the architects decided against a concrete slab foundation in favor of elevated footings. The architects also worked with the commercial sizing of the building materials to minimize construction waste and costs. Excess materials were used for decorative purposes. 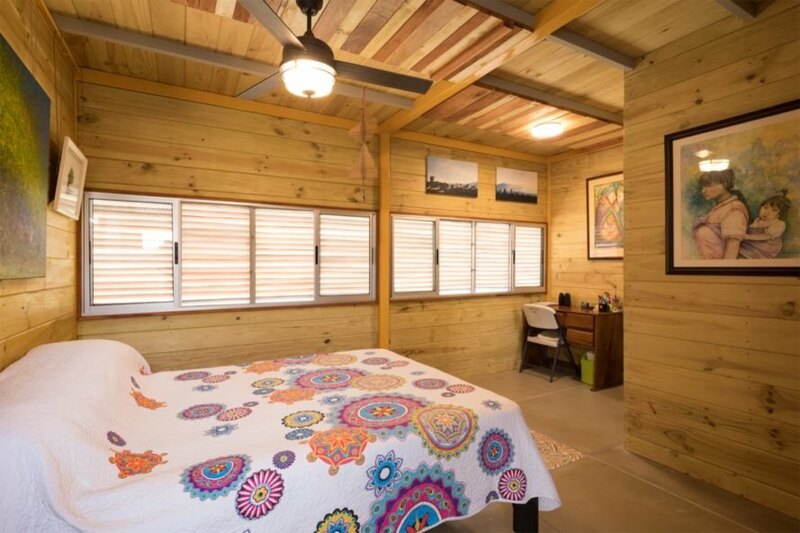 YUSO proyectos helped a couple build their dream home. The home's design is centered around the theme of honesty. The architects implemented this theme through honesty with the environment, the materials and the clients. The house, called Esparza House, spans 1,345 square feet. Natural materials were used throughout the project. 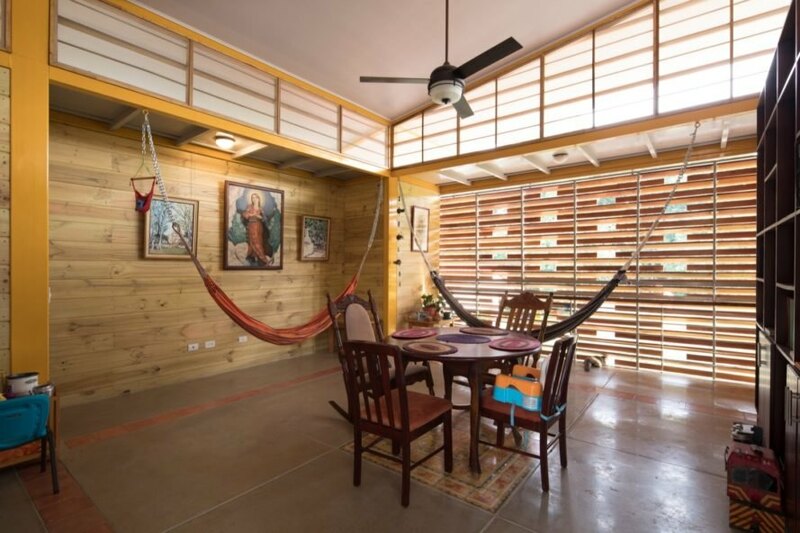 The house embraces the Costa Rican climate. A sliding, slatted wall can close off the main area of the home. 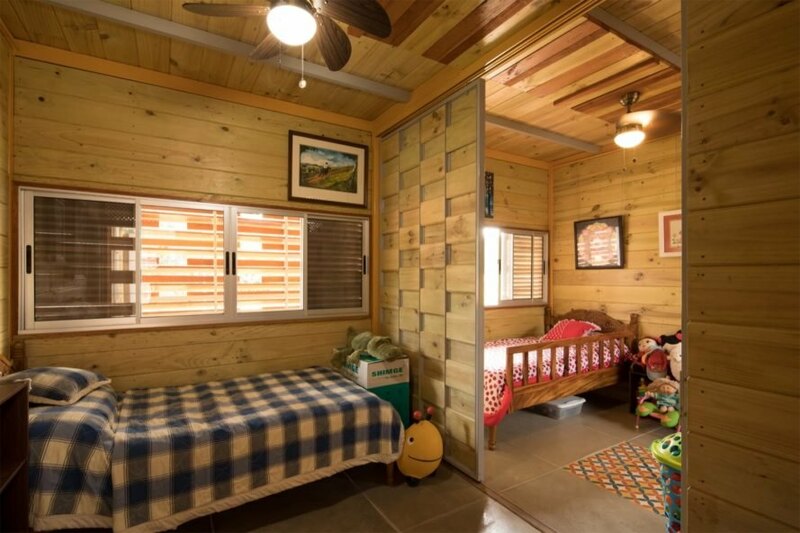 The children's rooms can be connected or divided. The home predominately uses timber in its construction. The home has three bedrooms. The architects used passive design to keep the residence comfortable. The home was built beautifully on a budget. 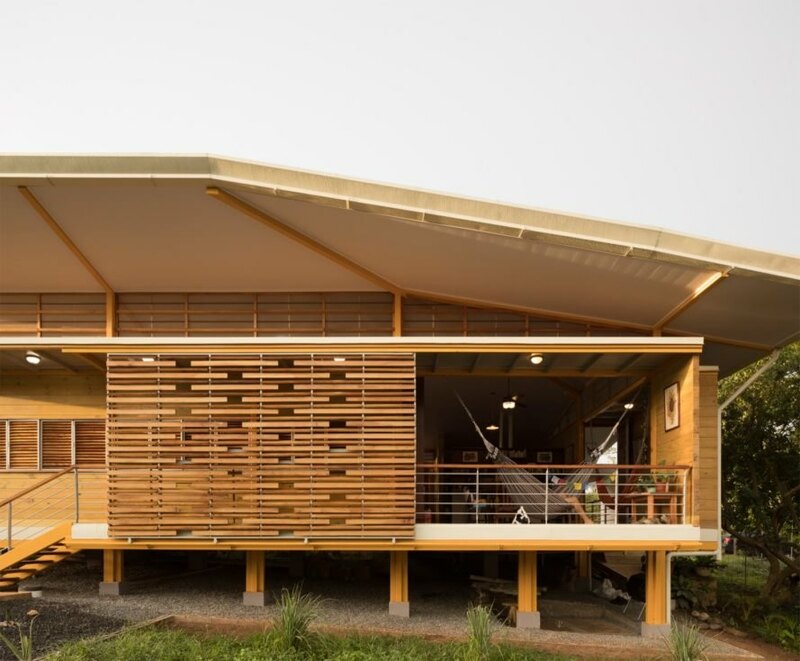 The house has a low-energy footprint and a rainwater harvesting system. The Esparza House lies on a rural plot in San Rafael, Costa Rica.